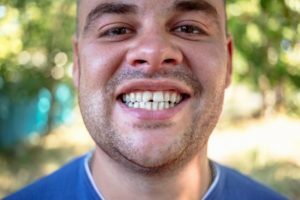 What Services Can My Emergency Dentist Provide Me With? What Should I do if I’m Experiencing a Severe Toothache? There could be multiple causes for an intense toothache: something stuck between your teeth, a cracked or impacted tooth, decay, or an abscess. It’s recommended that you thoroughly brush, floss, and rinse to try to dislodge any debris or objects that may be causing the pain. If that doesn’t help, immediately call or go to your emergency dentist. On your way, you can use a cold press on the side of your face with something in between your skin and the press. This can help reduce swelling if there is any. How Can I Prevent Dental Emergencies from Happening? Try not to use your teeth as tools. By biting on your pen to hold it in place or ripping a piece of tape off, this can increase the chance that you’ll crack or chip a tooth. When you’re enjoying sticky or hard foods, be careful to chew slowly. If you’re an ice-cruncher, this can also slowly wear down your enamel, so you may want to reconsider your habit. If you’re playing sports, it’s important to always wear a mouthguard. Your dentist can craft you a custom-fitted one that will help protect your teeth from a variety of emergencies. Be sure to schedule your semi-annual checkup and cleanings so you can prevent minor dental problems from turning into emergencies. There are many tips and tricks out there to help you keep your dental hygiene in check and reduce your risk. Be sure to choose an emergency dentist that can quickly and effectively provide you with high-quality treatment! Our dentists at Mingel Dental can provide your whole family with the dental care they deserve. With a relaxing and warm environment, you’ll feel comfortable and right at home. We aim to provide the best possible emergency care so you can get back to your day. No matter the time of day, we give our personal phone numbers to our patients in case of any emergencies they may have. For questions or to schedule an appointment, visit our website or contact us at 954-654-7422.